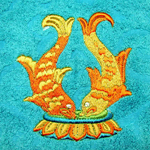 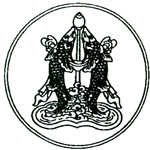 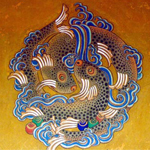 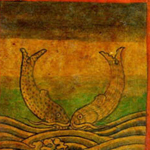 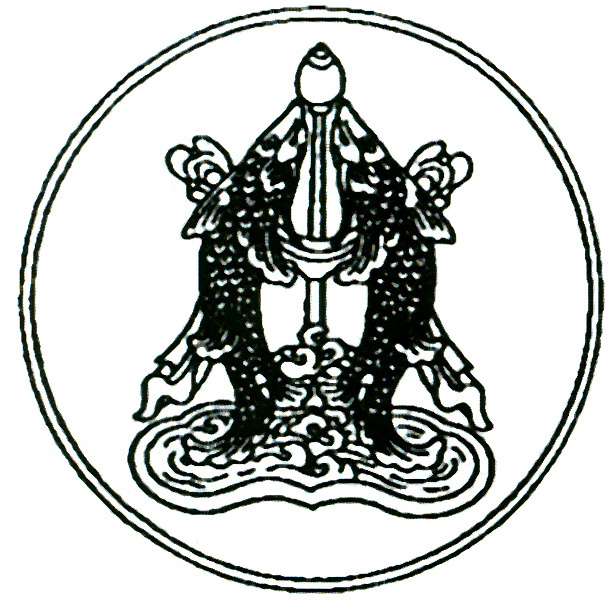 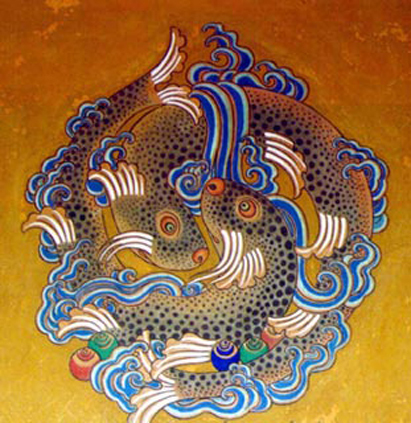 In Buddhism, the golden fish - usually depicted as a pair - symbolize the state of fearlessness while afloat in an ocean of suffering - or what Buddhists call "the sea of samsara". 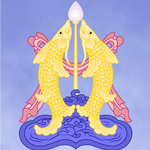 The golden fish became the sign of happiness and emancipation, of freedom and spontaneity, all of which are the consequences and result of the liberation one experiences when taking the teachings of the Buddha to heart. 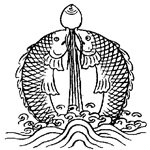 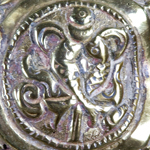 Choose to wear the golden fish tattoo, and you yourself become a walking-talking, living-breathing symbol of the wealth of the spiritual life. 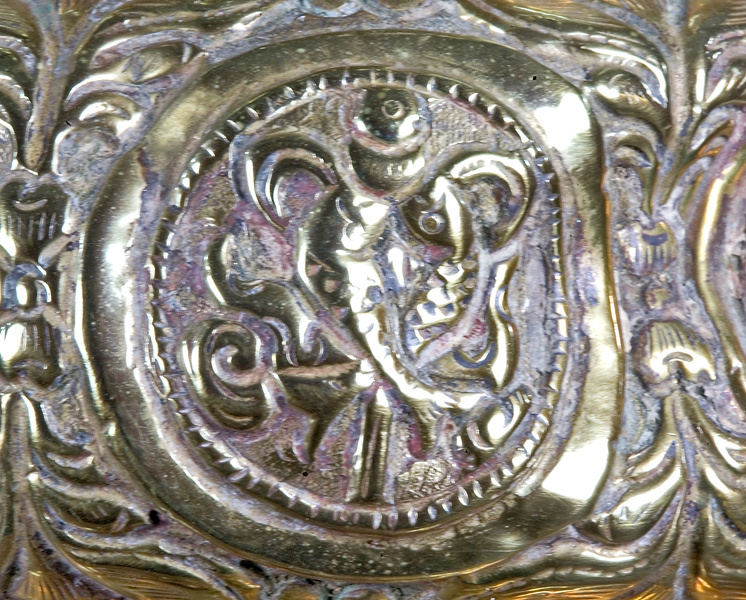 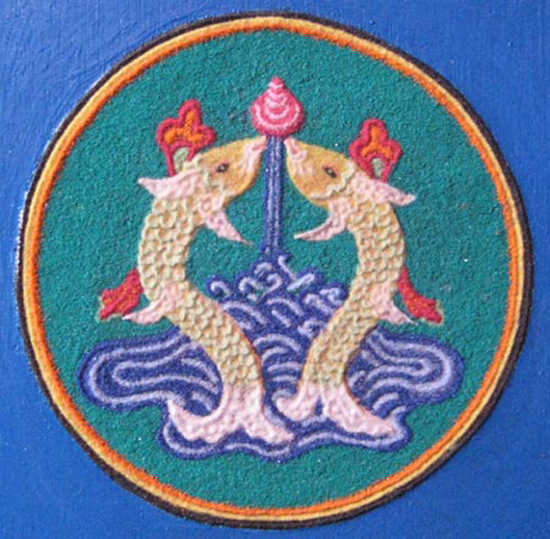 Before the golden fish became one of the Eight Auspicious Symbols of Buddhism, they were emblems of the two most sacred rivers in India, the Ganges and the Yamuna. 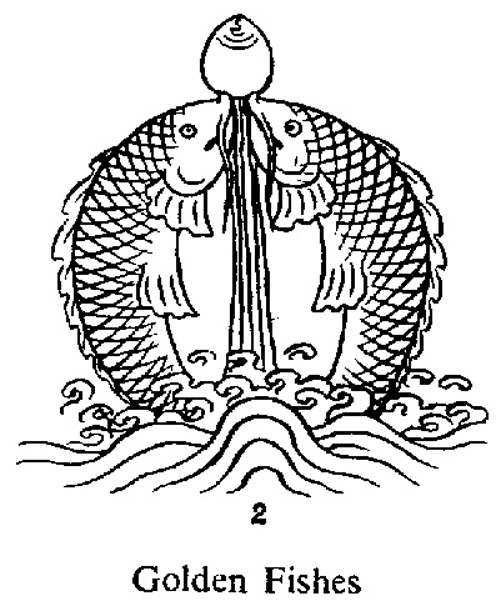 One fish symbolized the sun, the other the moon. 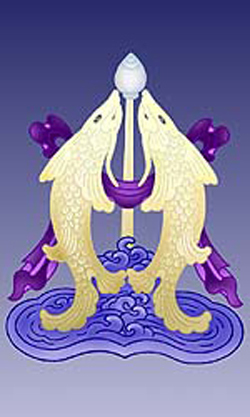 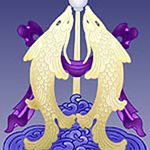 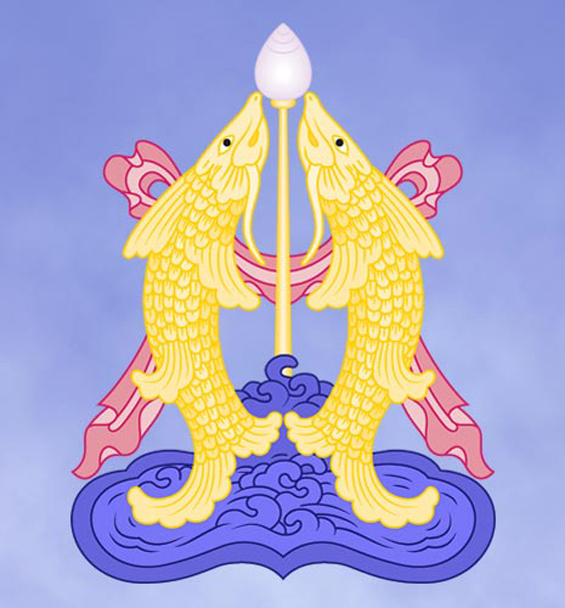 The two fish also came to represent the two nostrils that channel the inward and outward flow of prahna, the breath of life. 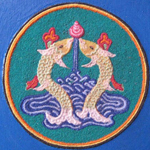 Controlling one's breathing is an important aspect of meditation and meditation is at the core of Buddhism. 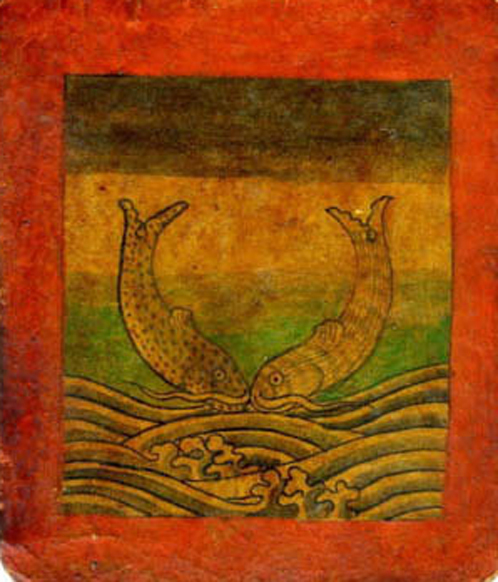 One school of Tibetan Buddhism believes that the through the practice of 'Tonglan', a monk can breath in 'negative air' and exhale 'positive air', acting almost as a filter and thereby calming their surroundings and those in their presence. 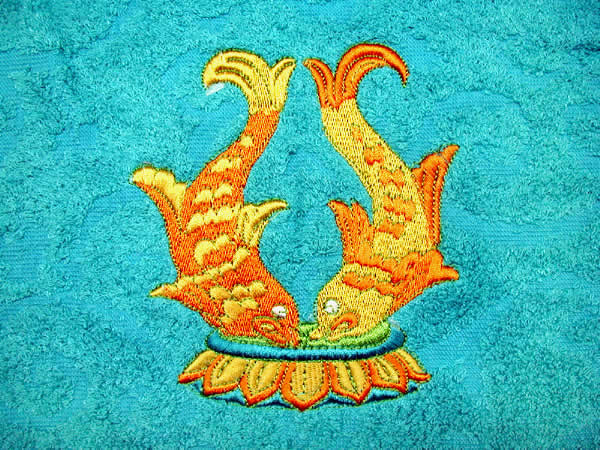 Below you will find a gallery of inspirational images that will help you in your quest of creating the perfect Golden Fish Print tattoo.